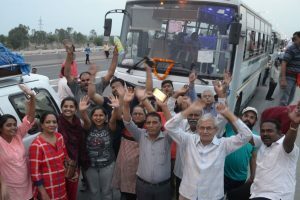 Yatra permits would be different for each day of the week and route, with a different colour coding for each day having a QR code to facilitate the Police personnel deployed at the Access Control Gates at Baltal and Chandanwari to regulate the pilgrimage for the relevant date and route. Since it started on June 28, over 2.83 lakh pilgrims have performed this year's Amarnath Yatra. 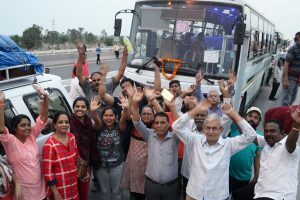 The 60-day long Yatra will end on August 26. 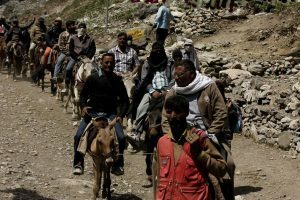 The Amarnath Yatra resumed on Saturday after a day's suspension with 306 pilgrims leaving Jammu for the cave shrine in the Kashmir Valley. 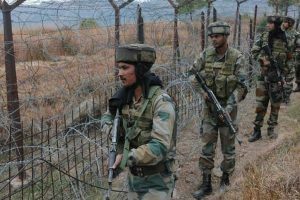 A huge cache of arms and ammunition was found during a search operation by the Army near the Line of Control (LoC) in Jammu and Kashmir's Rajouri district. 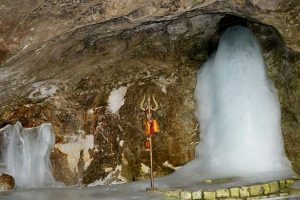 Ahead of the Indian and Pakistan Independence Day celebrations, authorities on Monday decided to suspend the Amarnath Yatra from Jammu for three days to ensure safety and security of the pilgrims. The separatists have called a complete shutdown in the Valley to support Article 35A that gives special powers to the state legislature. 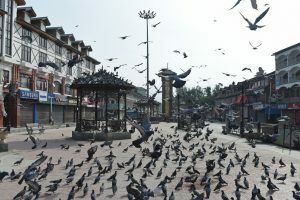 The "yatra" is scheduled to conclude on August 26, coinciding with Raksha Bandhan festivities. 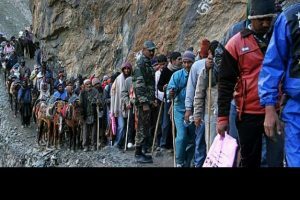 The number of pilgrims paying obeisance at the holy cave shrine of Amarnath of South Kashmir Himalayas have crossed the two lakh mark. 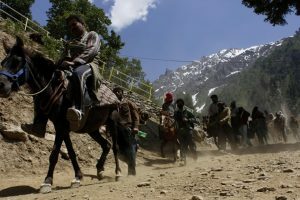 Since the beginning of Amarnath yatra on June 28, more that 1,76,000 pilgrims have already performed the annual pilgrimage. 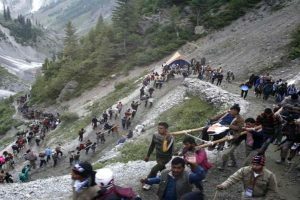 The 60-day Amarnath yatra commenced from the twin routes of Baltal in Ganderbal and Pahalgam in Anantnag districts on June 28. 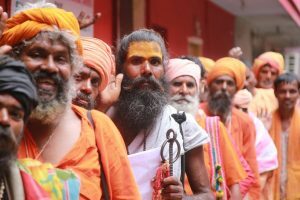 A fresh batch of 3,419 pilgrims left Jammu on Thursday for the Kashmir Valley to perform the annual Amarnath Yatra. The MeT office has again predicted wet weather from today till July 15 with heavy rains at isolated places.